Disney couldn’t be happier that Thing 3 had a total Toy Story Christmas. Talking Buzz Lightyear? check. Toy Story DVD? check. Toy Story book and pajamas? Check and check. This picture is right after he woke up. 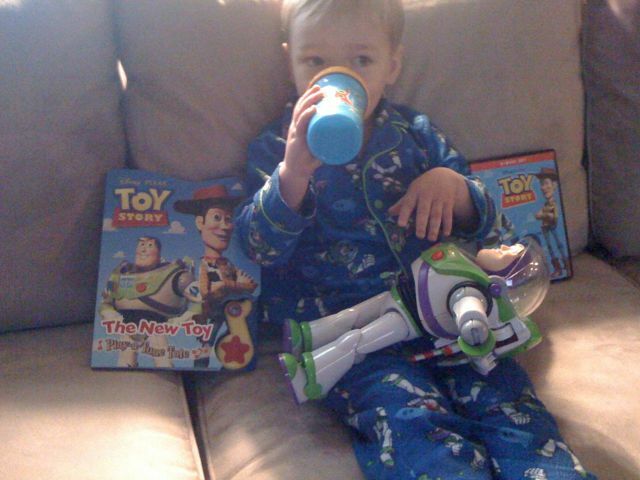 He slept with all these items in his crib. And he will carry them around with him all day. I love when they know what they want.. and he seems to know and love Buzz.